As Victor Cruz looks to continue his career, he’s paying a visit to the Jacksonville Jaguars and a familiar face. Since posting back-to-back 1,000 yard seasons in 2011 and 2012, injuries have hampered Victor Cruz’s career. He did play in 15 games last season, with just 39 receptions for 586 yards and one touchdown. Quite simply, the Giants weren’t going to keep Cruz around with a$7.5 million cap hit for this year. Cruz has gotten little interest since being released by the Giants in mid-February, with a visit to the Panthers and conflicting reports of interest from the Broncos. Cruz most recently said he has no plans to retire, but it’s hard to see him landing anywhere anytime soon. After picking up their 2018 option on quarterback Blake Bortles, the Jaguars would do well to surround him with as much talent as possible to see exactly what he can be. To that end, Cruz is apparently on their radar. 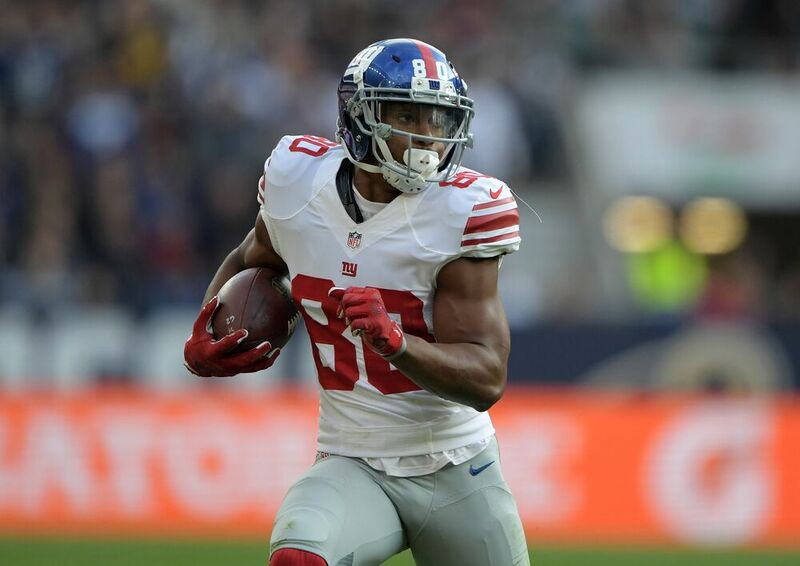 Source: Victor Cruz is visiting the #Jaguars today. There’s a very simple tie between Cruz and the Jaguars. Tom Coughlin is now the calling the shots in Jacksonville in his role as executive vice president of football operations, and he was of course head coach of the Giants from 2004-2015. Allen Robinson and Allen Hurns are Jacksonville’s top two receivers, with Marqise Lee and 2017 fourth-round pick Dede Westbrook in the mix. Rashad Greene, Arrelious Benn and Bryan Walters fill out the wide receiver depth chart right now, though Cruz would fit into a competition to be the No. 3 or No. 4 receiver for the Jaguars. Cruz is obviously close to the end of his career, and an opportunity is probably all he wants at this point. Jacksonville has the potential to be a comfortable landing spot, so if Coughlin decides not to even bring Cruz in that’s a sure sign he is done.